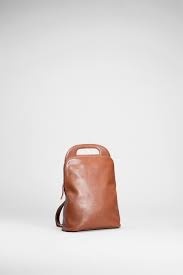 The Forde Leather Backpack has been created with versatility and functionality in mind. Crafted from cow leather, it feels soft yet sturdy. The opening of the backpack is wide to accommodate larger items and closes with a zip. A large handle at the top of this leather bag allows you to grab hold of it on the go and is just one of the three ways it can be carried. 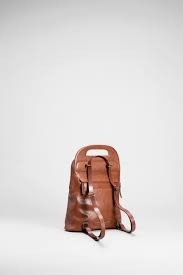 In addition to the handle, the straps can be used as a backpack and can also be adjusted to be used as an across the shoulder bag. 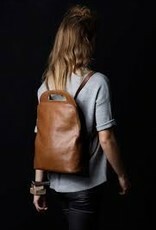 A zippered section is located on the back to keep any precious items safe.